Washington and Lee University senior Hannah Falchuk of Hockessin, Delaware, has received a Fulbright grant to work as an English teaching assistant in the Slovak Republic during the 2018-19 academic year. As a Fulbright scholar, Falchuk hopes to improve her cultural understanding and language proficiency in the country. “By working in an educational setting with young people in a country that is politically important within the European Union and globally, I will also learn about the topics that they find most important in their communities and country,” said Falchuk. 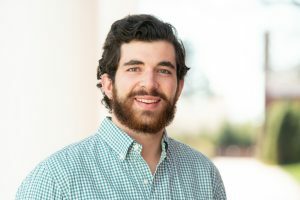 Falchuk is majoring in politics and minoring in poverty and human capability studies, as well as mass communications. She has led French instruction locally, honing her skills of teaching flexibility and public speaking during a weekly French class for elementary school students. She is also a community assistant at the Sustainability House, a Writing Center tutor and a Campus Kitchen volunteer with The Manor at Natural Bridge. “Hannah has been a leader on campus over these last four years and will bring admirable energy and skill at fostering social connections to her time in the Slovak Republic,” said Jonathon Eastwood, Laurent Boetsch Term Professor of Sociology and Fulbright Program advisor.